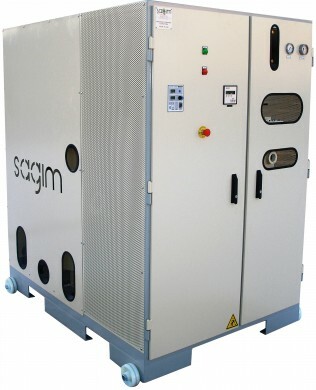 For more than 90 years, SAGIM has been specialized in the supply of units for hydrogen production via electrolytic and chemical processes to National and International Meteorological Services. Thanks to its experience, SAGIM has become the world leader in the production of hydrogen via chemical process. In addition to this manufacturing activity, SAGIM designs technical assemblies meeting the specific needs of its clients in areas such as electricity power generating plants and semiconductors, as well as in the field of the new energies intended for the fuel cell. SAGIM also provides training services tailored to the needs of its clients and of a high technical level, whether in the fields of quality, safety or international standards. All our services, beginning with the order and following through to the commissioning of our installations at Customers’ as well as the development stage, production, installation and after-sales service at Customer is ISO 9001 Ed: 2008 quality certified. Taken together, all of these technical and human resources clearly differentiate SAGIM from its competitors. Our mission is to offer high-quality, tailored services at an optimal cost in order to meet the implicit and explicit needs of our clients. Our commitment to quality must be accompanied by a systematic wish to move forward. It is innovation which injects added dynamism into our quality system and which will help us succeed in our ambition of constantly being able to offer greater satisfaction for our clients by anticipating their needs. Our quality policy must be understood, shared and accepted by everyone concerned. In this way, we may identify and then permanently solve problems, enabling our clients to benefit from the progress achieved. Our availability, our state of mind, our versatility and the experience acquired by our workforce over a period of 80 years have allowed us to acquire a high level of skill and recognised know-how in our chosen fields. Our thorough knowledge of our activities makes it possible for us to evaluate the necessary equipment and to select the suppliers accordingly, in a climate of partnership and trust. Our technical resources allow us to adapt effectively to the wide range of sites encountered, in order to guarantee customer satisfaction. The application and improvement of our system on a day-to-day basis are the best way to earn the satisfaction and trust of our clients, in order to ensure the long term success of our company. - AFRICA: Cap-Vert, Egypte, Gabon, Côte-d’Ivoire, Kenya, Libye, Madagascar, Malawi, Maroc, Maurice, Mozambique, Nigeria, RCA, l’Arabie saoudite, Sénégal, Tanzanie, Tunisie, Zimbabwe. - ASIA: Chine, Hong Kong, Inde, Indonésie, Philippines. - MIDDLE EAST: Afghanistan, Arménie, l’Irak, l’Iran, la Jordanie, le Koweït, la Syrie, l’UA Emirates. - ISLANDS: Comores, Fidji, Guyane française, Guadeloupe, Nouvelle-Calédonie, Martinique, Maurice, Polynésie française (Hao, Mururoa, Réao, Tahiti), Saint Hélène, Seychelles. 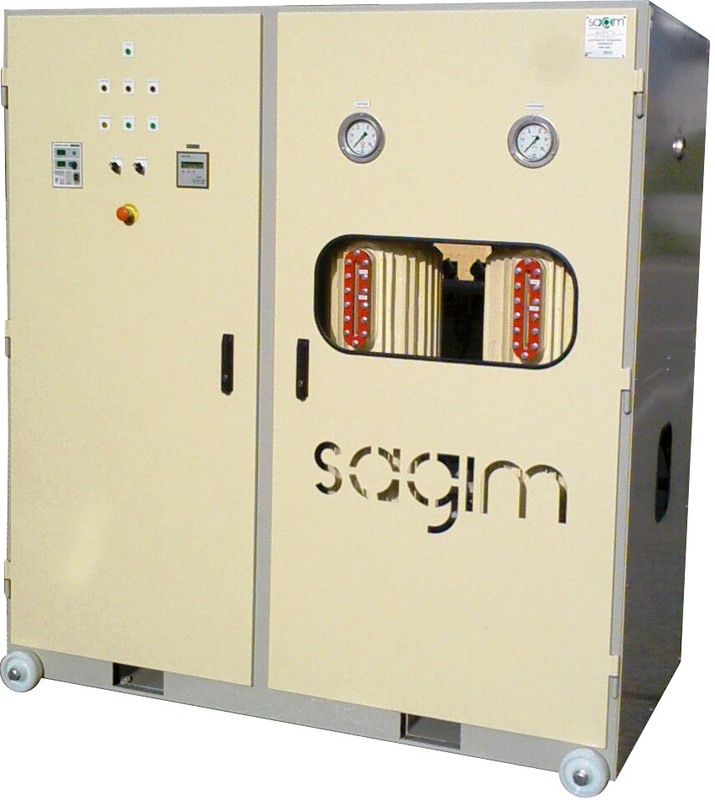 SAGIM manufactures hydrogen production units (via electrolytic and chemical processes) dedicated to meteorology and other industries. On-site technical assistance to install, operate and train staff. All our equipment comply with the international standard ISO 22734-1 related to hydrogen generators usingwater electrolysis process. 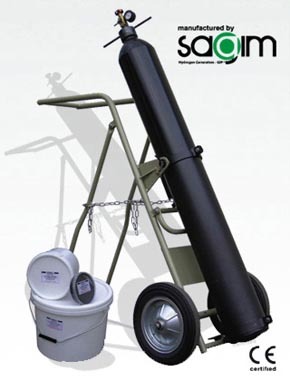 They comply also with the European regulations and ATEX requirements.